Overnight on 11th to the 12th November 2013, unknown animal/s have gotten into a field opposite Temple Lane and killed a large number of sheep. 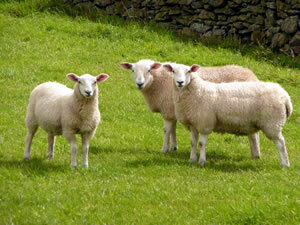 This has caused severe distress and upset to the sheep's owners, who have reared these animals. On attending their land on the morning of the 12th November 2013, the owners found a horrific scene of severely injured and dead sheep strewn around the field. A vet had to be called, and sadly, due to some animals' injuries, they have had to be humanely destroyed by the vet. The cost and time is immeasurable as is emotional distress caused to both owners of the sheep. If anyone has any information regarding this incident please contact Crimestoppers anonymously on 0800 555 111.